So, finally Mr Spider, we have you on camera. 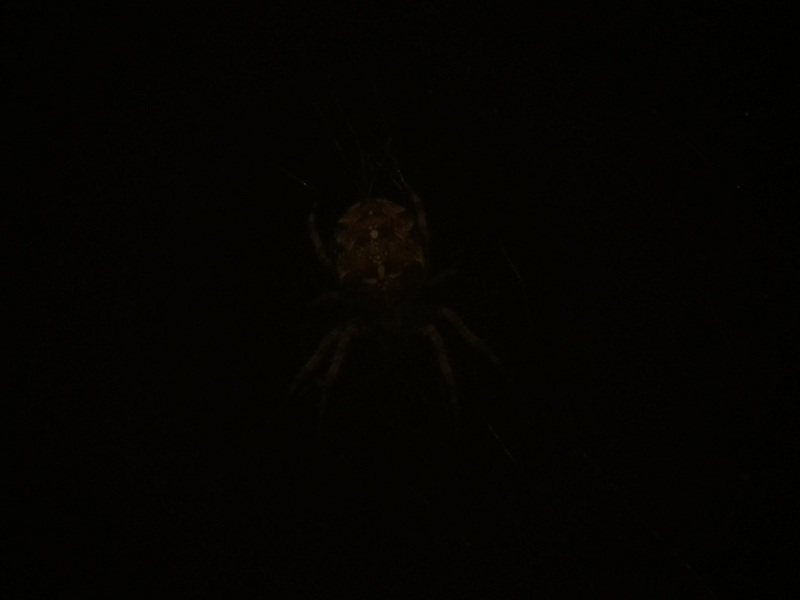 This beastie, hiding in the dark, is one of the first horrors that I saw after moving in here. I’ve seen it most days since I’ve been here, but as it lives outside my kitchen window and only comes out to play after the sun has gone down it’s been a tad tricky to get a decent photo. Must be shy. Scaryness: 6. If you squint, this one looks a bit like a skull. Which is worrying. And the huge bod also has quite an eek factor, but it’s home is on the other side of my kitchen window, and I don’t have to see it during the daylight hours, so that helps bring the rating down a bit. If it moves inside for the winter, I may have to move out.